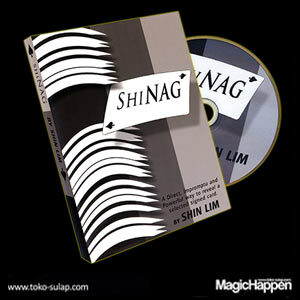 ShiNAG is a completely impromptu way to reveal selected cards with just your fingertips, allowing you to incorporate this into any of your current routines. Over 60 minutes of crystal clear HD, Shin goes over 7 of his favorite variations in intricate detail. Learn now from F.I.S.M-NACM, I.B.M, and WMS winner Shin Lim.